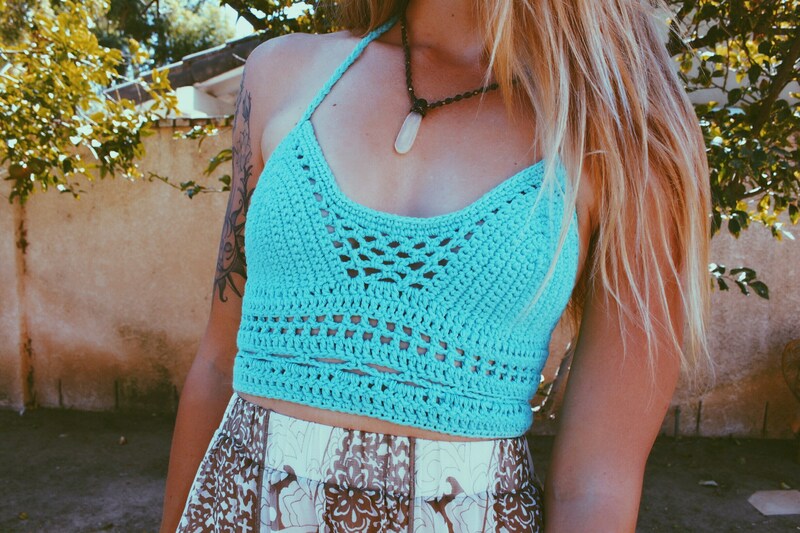 The hand crocheted Risa crop crop is inspired by our friend & Maui local Risa Marie. 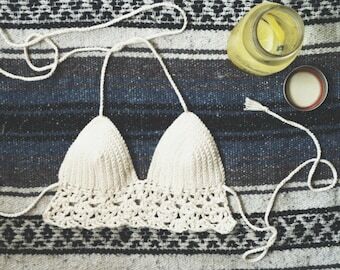 Very versatile, wear with jeans, shorts, bathing suit bottoms or a maxi skirt to lounge by the pool or attend your favorite music festival. Crocheted from %100 USA made cotton in Turquoise (pictured; Lilac also pictured) or your choice from the drop down menu. This top features decoratively attached triangle cups, and the intricately designed bodice features a corset style closure in the back with your choice of cross back or halter style string ties that allow for a more customized fit. Each tie is finished with a signature Jayblue cowrie shell tassel! Model is a 32A wearing the S/M size.